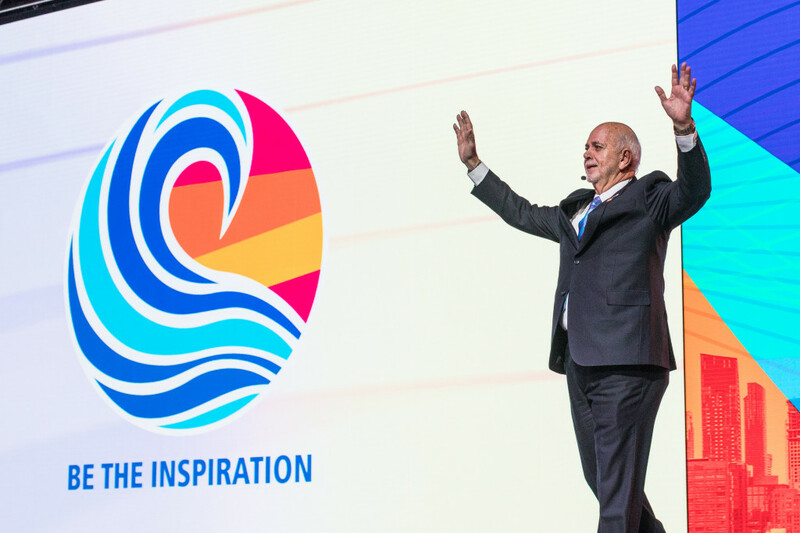 2018-19 RI President Barry Rassin announces his presidential theme, Be the Inspiration, at Rotary’s International Assembly. He emphasized that even when that last case of polio is recorded, the work won’t be finished. “Polio won’t be over, until the certifying commission says it’s over—when not one poliovirus has been found, in a river, in a sewer, or in a paralyzed child, for at least three years,” he said. “Until then, we have to keep doing everything we’re doing now.” He urged continued dedication to immunization and disease surveillance programs.